An article appearing in the August 31, 2017 edition of The Central Virginian, describes a trial in which a Louisa County resident was successfully defended by Stephen Harris in a trial prosecuted by Joshua Loren, an Assistant Commonwealth’s Attorney. 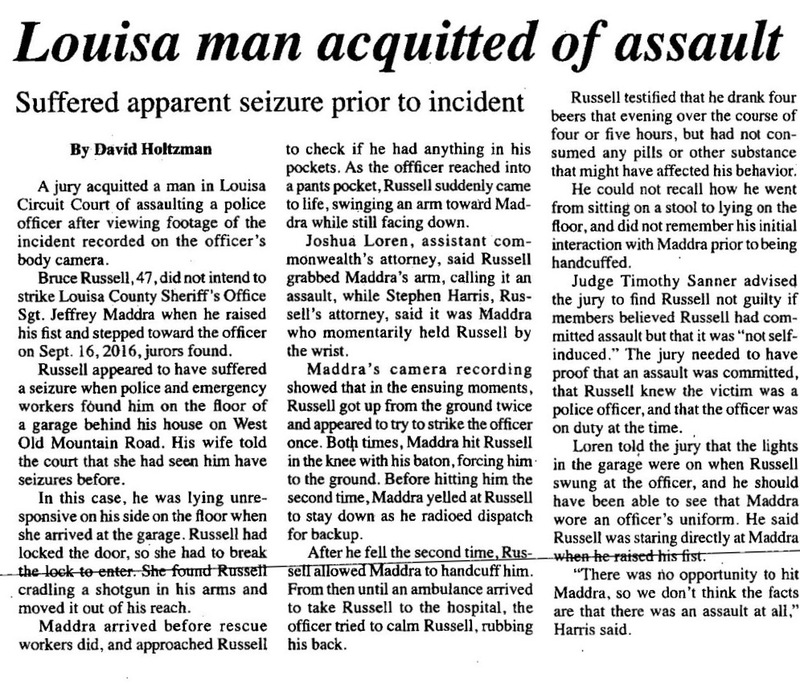 In the trial, Mr. Harris argued that the defendant, accused of striking a Louisa County Sheriff’s officer with his hand, had suffered a seizure and was not aware of his surroundings when the officer arrived. The jury found the defendant not guilty of the assault with which he was charged.